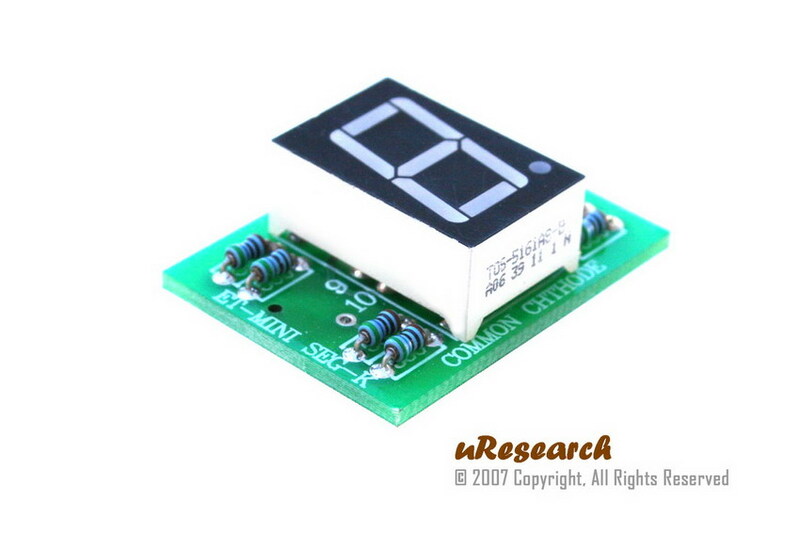 MR-MINI-7SEG-CC is a common cathode 7-segment with integrated on-board current limited resistors. It is 10-PIN MRconnect ready. 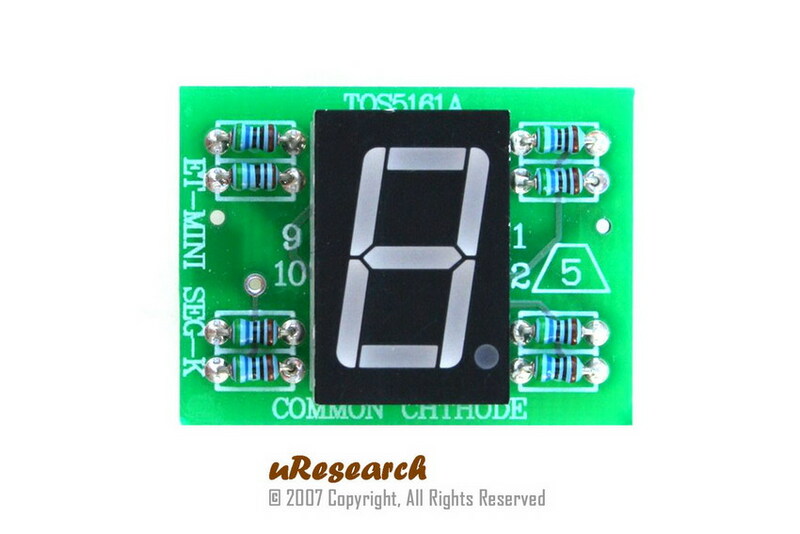 It can be plug directly onto 10-PIN MRconnect connector. 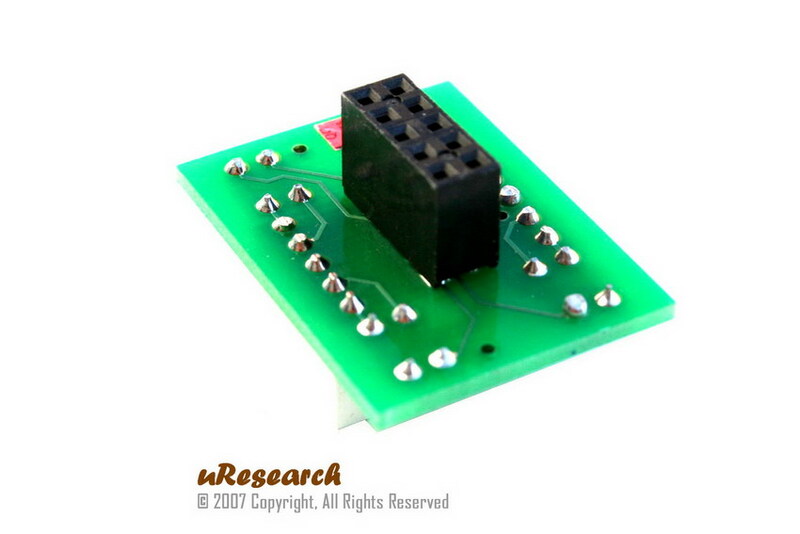 User can interface the signal from I/O pins of any microcontroller to the connector on the bottom of the module. Figure 1shown the bottom view of the connector.